We first learned of this issue almost a year ago, when a news story covered the Clean Label Project’s allegations against Champion foods. On first look the Clean Label Project looks to be the organization we’ve always wanted; an independent testing organization that would help to monitor pet food for contaminants like aflatoxins, lead, nutritional quality, etc. However it was surprising to us that many of the foods that received 5 star reviews were lower quality big name corn-based products (see link above to read about recent aflatoxin testing done on corn), and that some of the companies that we carry with exceptional sourcing and testing standards in place were getting both 5 star reviews on some flavors, and 1 star reviews for others within the same line. Even companies like Small Batch that sources only pastured animals and organic fruits and vegetables, no synthetic vitamins or minerals (and no fish, which could be likely sources of metals, etc) had formulas with poor reviews. It caused us some frustration to realize that the Clean Label website seems to list some of the guidelines for what they’re testing for, yet none of the products that received poor ratings had any explanations for what exact variable was found that caused the poor ratings, let alone divulging the levels found for that variable. We attempted to contact them with no response. We of course spoke to each company that we carry that had received poor ratings for an explanation, but all of them were frustrated by the complete lack of communication (and therefore transparency) from Clean Label. We noticed that they encouraged the public to buy pet foods through a link on their site and said that the proceeds would support testing, and later heard from a few of the companies we carry that Clean Label was telling them that they would give them the results of the testing if they agreed to a very steeply priced certification service. Back to the company at hand: Orijen/Acana (Champion Foods) has long had rigorous safety testing and monitoring for levels of heavy metals. They source BPA free bags, and in their words, “systematically test ORIJEN and ACANA products for heavy metals (arsenic, cadmium, lead and mercury) at two third-party laboratories using the Official Methods of Analysis by Association of Analytical Communities (AOAC). Heavy metal testing is an important control point for our food safety and HACCP plans to control chemical hazards in our foods. We have statistically analyzed three years of data collected from May 2014 to May 2017 and compared the results against the NRC standards for heavy metals and the MTLs listed in the FDA Target Animal Safety Review Memorandum. All heavy metals in ORIJEN and ACANA are from natural sources and not from artificial or industrial sources. All heavy metal results for ORIJEN and ACANA are well below the maximum tolerable limits set by the NRC Committee on Mineral and Toxic Substances in Diets and Water for Animals. 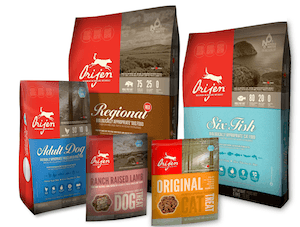 In conclusion, the heavy metals reported in ORIJEN and ACANA foods do not lead to adverse effects or food safety concerns for dogs and cats, and results are reinforced by Champion’s 25 years of excellence and international leadership in companion animal nutrition”. As a matter of interest, we found this Reddit article that discusses past activities of Clean Label Product that if accurate, may shed light on their business practices.